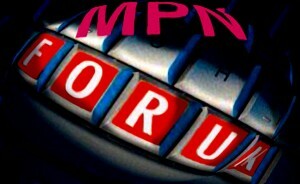 MPNforum Magazine publishes tomorrow so, as usual, a copy is sent off to subscribers a day in advance. Also, as usual, please let me know if you find any gross typos or broken links before publication. (zhenyasenyak@gmail.com). The December MPNforum highlights the importance of our MPN patient/caregiver network in covering both the suspension of the Sanofi clinical trial story and our feature on Geron’s imetelstat MF drug. The importance of our MPN network leads off December’s issue with its own page. This link will take you to the opening page and the complete issue. Let’s hear from you and please do pass the news on. Both news and features are vital to us all. We are the network. Zhen, I had a quick read, Jamie’s excellent report has a spelling error in the lead-in Seventh International Patient Symposium on Myleoproliferative Neoplams. Should read Neoplasms.